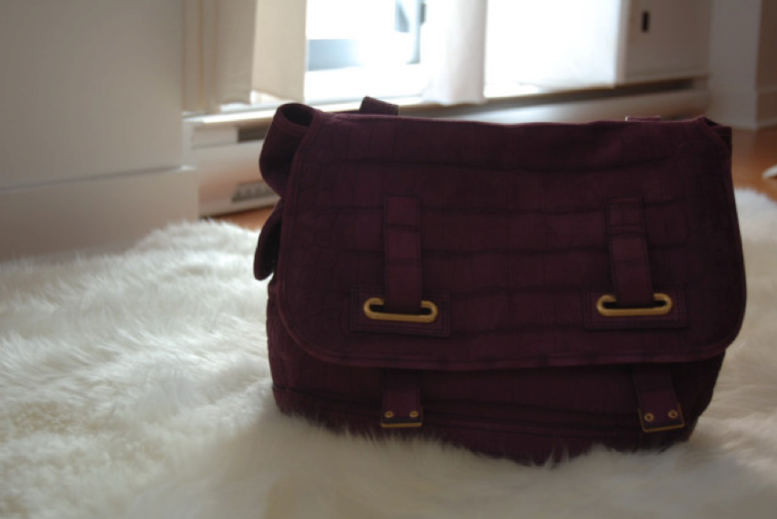 Stephanie's amazing lust-worthy, highly covetable aubergine ysl besace bag. Her taste is impeccable. awwww thank you, lady!!! for the re-post and the super sweet compliment ;) YOUR TASTE is impeccable!!! seriously! as for the camera i used, it's a Canon EOS 5D (which is my late step-grandfather photographer's) when i'm shooting with my brother, Sebastien. But when it's on tripod or for this picture, for instance, it's a Nikon D40 which i think is a GREAT first camera...or the D90, which lets you set more customized shutters i.e. it doesn;t jump from 60 to 80...there's an in-between which might not make much sense now, but when you're shooting it can be useful ;) lol. Also, i got it for a really good deal a year and a half ago $400 at Best Buy with a telescopic lense. we'll talk more about cameras when we hang out, but i def. think you should try and get one that comes with an extra lens, because no matter what you'll end up getting a deal on the extra lens as opposed to buying it brand new. Love this bag...it is true Stephanie does have great taste!!! And so do you!!! Il est top, j'adore sa couleur ! I really love the YSL Besace. I want it in this peach colour.